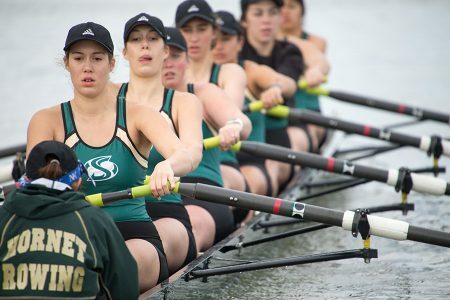 The Sacramento State rowing team competes in the Sacramento State Invitational at Lake Natoma on March 12, 2016. 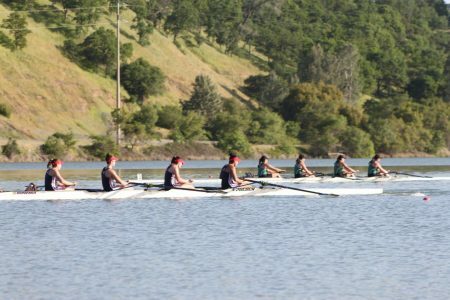 The Hornets will open the 2018 season on Saturday in the Sacramento State Invitational at Lake Natoma. 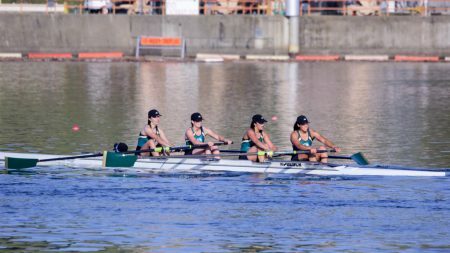 The Sacramento State rowing team has been training all fall and winter, and the hard work will finally be met with opposition in the first tournament of the season on Saturday. 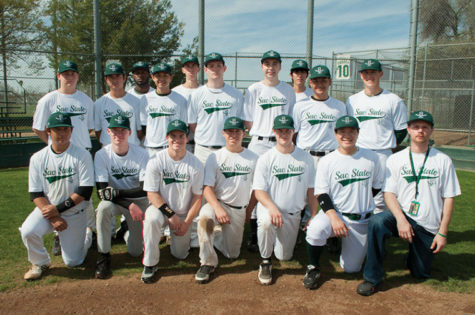 Last year, the Hornets took home first place in three races to begin spring in the annual Sacramento State Invitational. 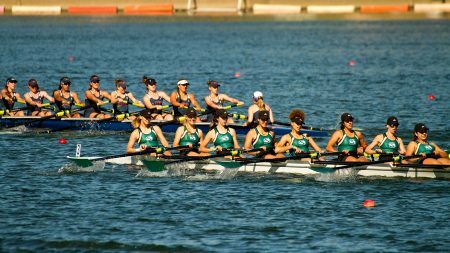 However, Sac State — which secured gold and bronze in the Western Intercollegiate Rowing Association Championships in its last home tournament of 2017— enters this season younger and less experienced. 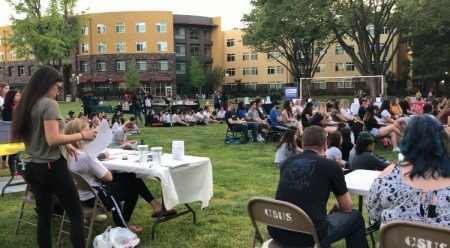 Senior co-captain Elena Galvez said most incoming players don’t know what to expect in terms of the time and work it takes to be competitive in college. 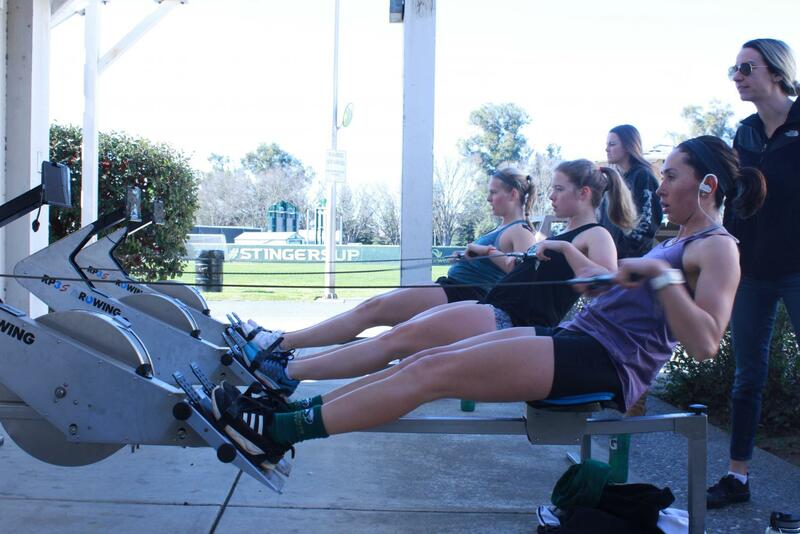 From left to right, Alana Holt, Madison Elsner, and Bailey Greenslit perform a six-kilometer fitness test outside of Solano Hall on Thursday, Feb. 22, 2018. 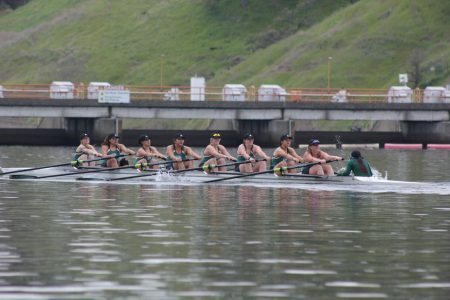 The Sacramento State rowing team will begin its 2018 season on March 10 in the Sacramento State Invitational at Lake Natoma. 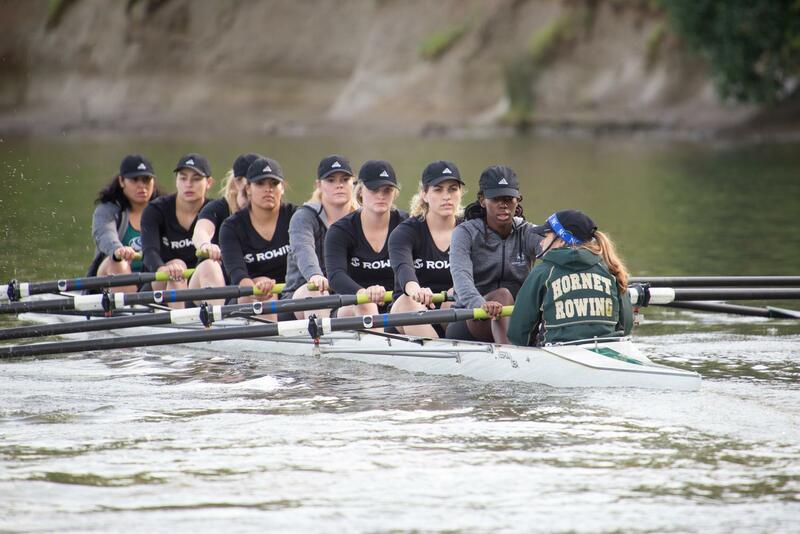 However, junior co-captain Bailey Greenslit also knows there’s a delicate balance that comes with being a leader of a team that she said is about half newcomers, half returners. 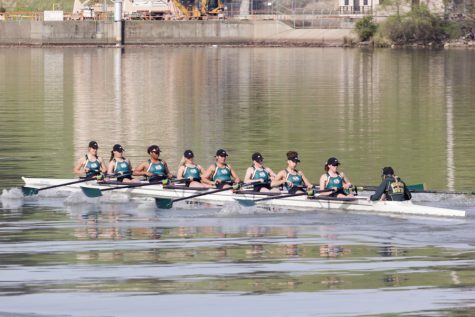 But no matter the degree of difficulty in the learning curve, Sac State coach Mike Connors said the new rowers are going to be major contributors on the team. 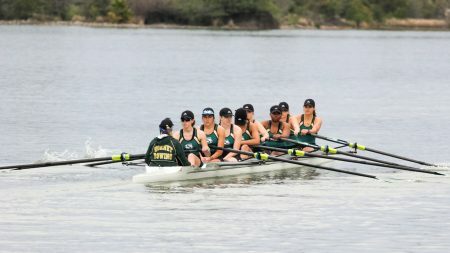 All of these elements will come together in competition when the Hornets face off against Portland, Humboldt State, UC San Diego, Saint Mary’s College, Orange Coast College and Mills College at Lake Natoma.